Mama Bobo, 80 ans s’assoit chaque matin à l’abribus de la rue Gomis. Elle ne monte jamais dans aucun bus mais elle imagine que chaque jour, elle rejoint son mari au marché. Un matin, son abribus a disparu. * El Gouna Film Festival – GFF 2017, Egypte – Prix El Gouna Bronze Star (Courts métrages). Première Mondiale / World Premiere (Septembre 2017). Mama Bobo is a widow in her 80’s. Day in day out she heads towards the Gomis street bus stop, in Dakar, Senegal. While sitting on the bus stop’s bench she recollects her past life and her long gone husband. 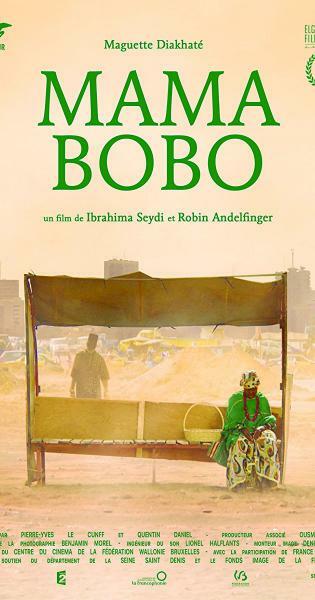 One day the bus stop disappears into thin air… Her family and neighbours try their best to get Mama Bobo back on her feet, before it’s too late. directed jointly by Robin Luc Andelfinger and Ibrahima Seydi. « This film showed us a strong African community and how one person’s repetitive journey is the only thing that keeps them going » said the jurors while awarding the film. The award was received by Ibrahima Seydi, co-director of the film that had its world premiere at GFF.